Downtown San Diego is known for it’s amazing neighborhoods, ideal climate and fun, cultured residents all sharing together in the non-stop entertainment and development of the community. One of the best parts of living in Downtown San Diego is being smack-dab in the middle of all of the fun and the action. 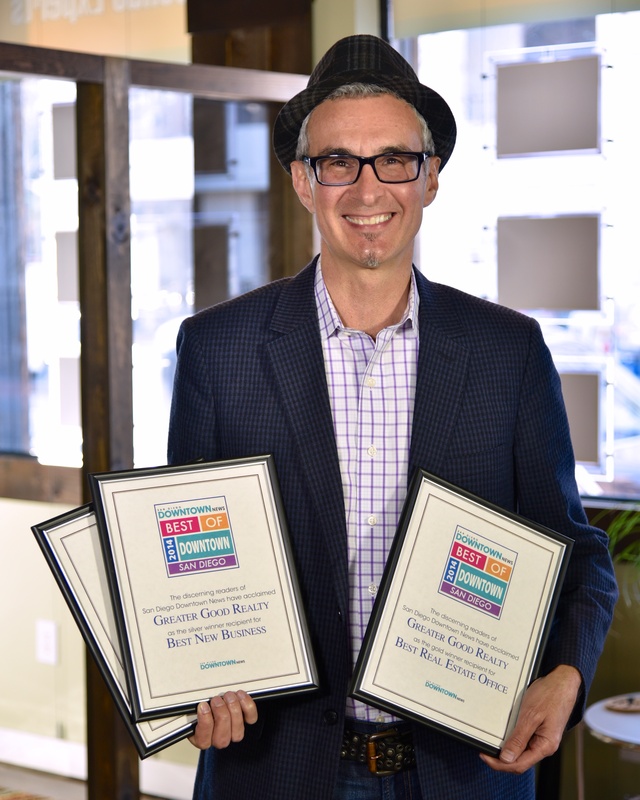 Every year the San Diego Downtown News announces the awards for the year’s Best of Downtown in the different categories of business and entertainment. The Readers vote to share their favorites for the year for Dining, Drinks, Retail, Entertainment and Business. Some of the winners have been serving Downtown customers for decades, while others just opened their doors and are already rising to the top of the list. This month’s Downtown News showcases the best of the best in the areas of East Village, Gaslamp Quarter, Columbia and the Financial Districts to the shores of the Marina District, Embarcadero and Little Italy. Congratulations to all the Winners and thank you to everyone in the community who voted!